Expect a dry and mild day today but a quick moving weather system will bring rain and thunderstorms back into the area beginning this evening and tonight. 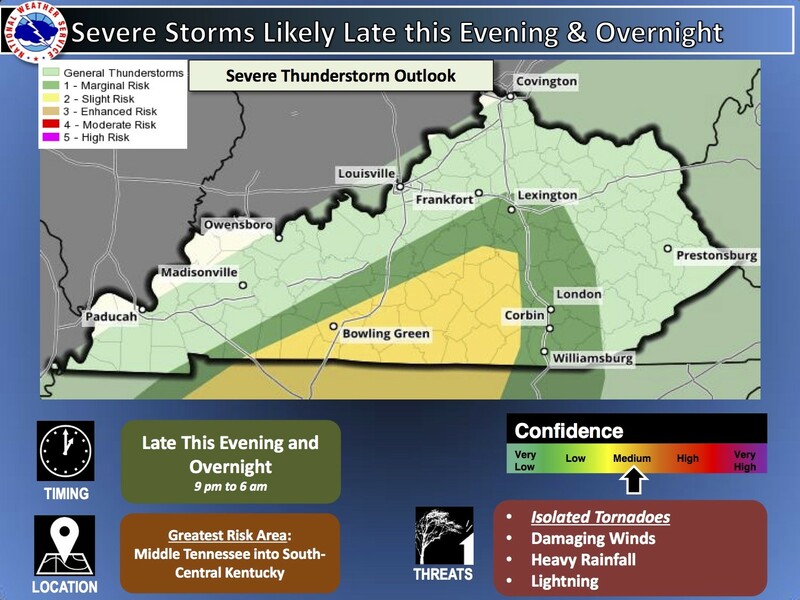 Some of these storms could produce severe weather across parts of south-central and east-central Kentucky. 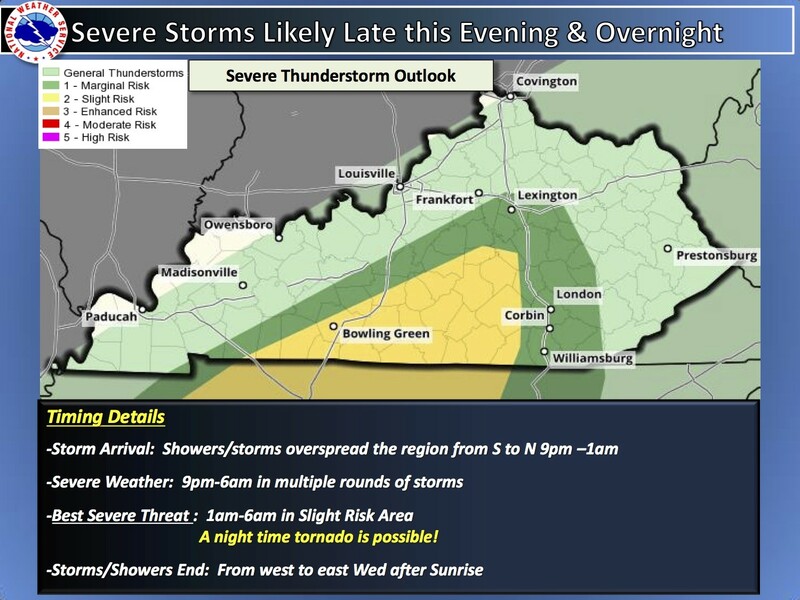 Damaging winds and isolated tornadoes are possible.